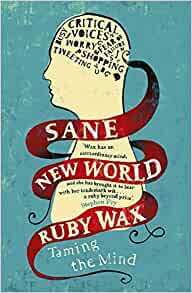 Ruby Wax - comedian, writer and mental health campaigner - shows us how our minds can jeopardize our sanity. With her own periods of depression and now a Masters from Oxford in Mindfulness-based Cognitive Therapy to draw from, she explains how our busy, chattering, self-critical thoughts drive us to anxiety and stress. If we are to break the cycle, we need to understand how our brains work, rewire our thinking and find calm in a frenetic world. Helping you become the master, not the slave, of your mind, here is the manual to saner living. Start reading Sane New World: The original bestseller on your Kindle in under a minute. 5.0 out of 5 starsMindfulness, it works! 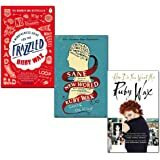 That, there Ruby Wax comes across as inspired and in so doing, inspires. Absolutely great - I'm 52, pretty normal, but not as happy as I'd like to be and have been like it since a kid - this book helps. A great light read that doesn’t make light of mental illness but addresses it head on with humour, humility and compassion. Knowing you aren’t alone in the struggle, that you aren’t going insane and that successful people have the same anxieties is a real leveller. Well done Ruby you are amazing! I loved this. The phrasing and grammar are quirky at times but it's a delight to have such an irreverent and non-preachy account of the benefits of meditation - this is just what I needed. So hard to get through many of the other books on similar subjects and if you cant find ah them, you don't benefits of the information and guidance. I'm actually tempted to read this again. A world away from the other meditation books I have which are gathering dust, unfinished. 5.0 out of 5 starsNo holds barred - the truth about living with depression and anxiety. When I saw this book I knew that I had to buy it. It was on offer when I bought it but it is well worth a read even at full price. 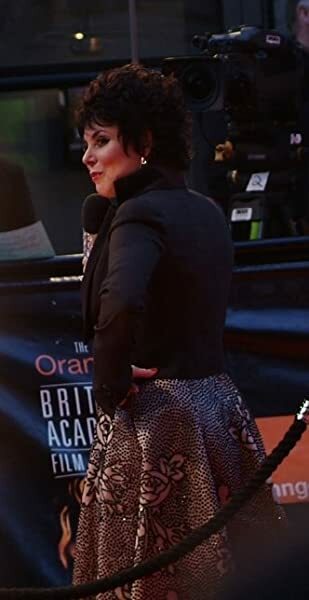 I remember Ruby Wax being this cool, sassy and outspoken funny woman who I had a lot of admiration for as a child. After reading this I have even more admiration for her. She is completely candid about her struggles with mental illness and gives honest and truthful tips about how she copes with it. She also delves into the actual psychology and physiology of the mind. This gives her viewpoint an even greater credence because she gives explanation, she helps you understand. She also makes you feel like you are not alone. If you are looking for a book on an understanding of mental illness, buy this. It is funny, candid, helpful, completely not patronising, beautiful and honest book, written by a funny, candid, helpful, beautiful and honest person. Thank you Ruby. I love how this book explains how mindfulness works biologically, the comparison to CBT, and the fun way it is explained. Wax tells the story of mindfulness in a way that is easy to read, but has now given me the thirst to want to know more. The numerous exercises are incredibly helpful to practice mindfulness, and I love the personal stories shared because it is helpful to see mindfulness in action. I rarely re-read books, but I have just finished it, and I literally want to read it again after I finish writing this review. I'm desperate to not feel this depression anymore, and I feel like mindfulness has helped me the most. The exercises in this book and the explanations have helped me, and I now want to learn so much about mindfulness to help others not feel how I feel. Thank you, Ruby, for writing this book!!!!! 5.0 out of 5 starsWell done, Ruby! A non patronizing book, by a lady who knows what she's talking about. Would recommend this book to just about anyone, we are all in it somewhere and all in it together. Ruby makes no promise this book will cure you but realising you're not alone and the answers are already within yourself, is a powerful feeling. Thanks, Ruby.